The biggest ever industry-wide campaign to promote responsible gambling is under way today (November 1), involving every major operator in the UK and Ireland. More than 127,000 staff at over 11,000 gambling venues and online sites in the UK and Ireland are taking part in Responsible Gambling Week, triggering a national conversation with customers and their friends and families about what it means to gamble responsibly. The campaign is being strongly supported by all major operators and the hashtag #RGWeek18 had already garnered more than 2.3million impressions 48 hours before the campaign’s official launch. Leading football clubs have also lent their support to the campaign. Last weekend, Premier Leaque club Crystal Palace played an #RGWeek18 video in the fan zone and on the big screen during its televised match against Arsenal and carried advertising in the match programme while Sky Bet Championship club Middlesbrough carried responsible gambling messages on the big screen and LED screens during its televised match against Derby County. Other clubs which have already announced their support include West Ham, whose players wore Responsible Gambling Week training tops before their Carbao Cup match against Tottenham Hotspur, and Swansea City, whose shirts will feature the campaign logo for their match against Rotherham this weekend. The English Football League has written to all its 72 clubs asking them to back the campaign and responsible gambling messages and videos are being shared on their social channels. Responsible Gambling Week is also supported by The Racecourse Association and the British Horse Racing Association. Responsible gambling messages will be displayed at several meetings, including at Ascot on November 3rd where every runner in the televised 3pm race will have Bet With Ascot/ RGW saddle cloths and the winner’s podium and parade ring will carry responsible gambling artwork, animated videos will be played on the big screen and staff will wear responsible gambling badges. Other racecourses supporting the campaign, including Chester and Bangor-on-Dee, and advertising will be carried in all race cards. The campaign is being run by the Industry Group for Responsible Gambling (IGRG), which through its member trade associations, encompasses all sectors of the gambling industry: online, amusement arcades, bingo clubs, bookmakers and casinos. The week runs from November 1-7, and for the first time also includes Ireland, where the campaign will be supported by more than 800 bookmakers, and by the Irish Amusements Trade Association, Horse Racing Ireland, Irish Greyhound Board and the Irish Greyhound and Horse Racing Tote. The theme of the week is ‘Let’s Talk About Responsible Gambling’ and, at every gambling venue, responsible gambling literature will be made available to customers, designed to trigger conversations about how to keep gambling fun and safe. Customers who need further help or information will be signposted to GambleAware. Among the activities taking place during the week are training and advice sessions being run by GamCare in Birmingham, Bristol, London, Leeds and Hull for professionals who work with younger people and parents. 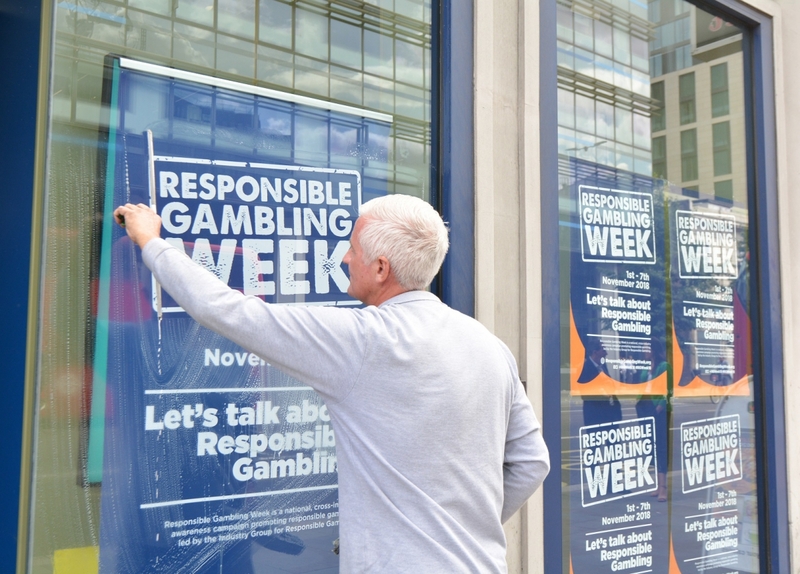 John Hagan, Chairman of the Industry Group for Responsible Gambling, said: “The aim of the week is to spark a national conversation about what it means to gamble responsibly, conversations between operators and their customers, between customers and their family and friends and between industry stakeholders. The fact that every sector of the industry has come together to drive this campaign, which has been a year in the planning, and agree common messaging tells its own story. By speaking together with one voice, they can have maximum impact”. 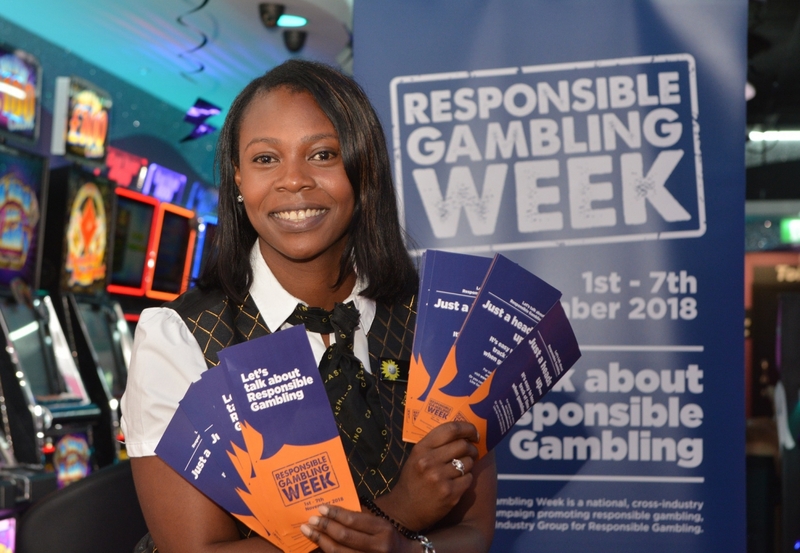 “We are delighted to be partnering with the IGRG and joining their Responsible Gambling Week. Merging both campaigns can only help to increase the impact and reach of the campaign and reach of the campaign and ensure maximum coverage for the week”.